This urn is named perfectly as it truly is an elegant way to display your keepsake ashes. Made from natural marble, comes with a heart shaped case in our choice of color. 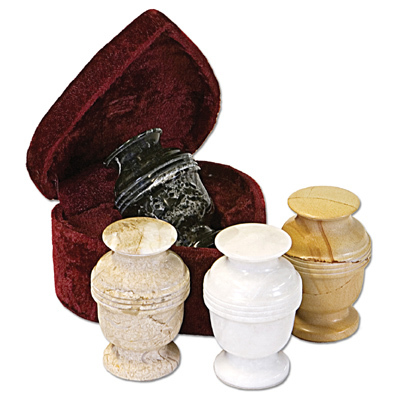 Urns come in your choice of Parquet, Natural, Black Grain or White Grain marble. Due to the nature of marble, color and patterns will vary from those pictured.